Can I Go to Canada with a DUI If I Do Not Tell Them? First of all, lying when attempting to enter Canada is a horrible idea! If an individual is caught misrepresenting their criminal history when entering Canada, their chances of getting across the border anytime soon will likely drop significantly. A Canadian border official will almost certainly deny the person entry on the spot, and may even ban the individual from Canada for several years with no chance to appeal. Just because Canadians are stereotypically friendly does not mean that Canada's border officials are lenient. Not disclosing a criminal record to authorities when asked is also not very likely to work. It is extremely easy for Canadian immigration officers to flag criminally inadmissible individuals at the border even if the person lies to them. When a person enters Canada, they must hand their passport to the authority who will then swipe or scan it into their computer database which may immediately detect that the person has a DUI since the United States and Canada share criminal and motor vehicle databases. At this point, the border agent will likely ask the individual if they have ever been arrested before. 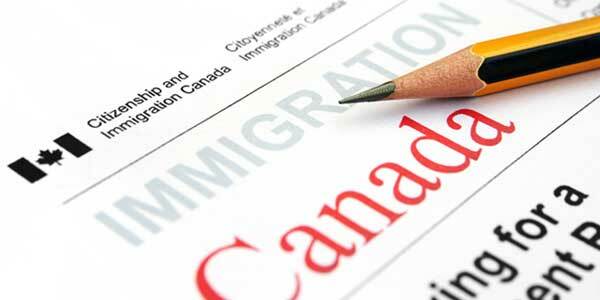 If the person tells the truth and says "yes", then if they are criminally inadmissible to Canada and do not present a TRP application they risk a border rejection. If they lie and say "no", however, then not only may the border agent refuse them entry because of criminal inadmissibility, they could also risk being barred from entering Canada for 3-10 years for purposely attempting to deceive the officer. The term "criminally inadmissible" refers to people who are not allowed to enter or stay in Canada because of past criminal activity. If an individual committed or was convicted of an indictable offense in Canada, or an equivalent offense outside of Canada provided it would be punishable under Canadian law, then they may be considered to be criminally inadmissible and may consequently not be allowed to enter the country without special permission. Some people seem to think that Canada just pretends to be strict at the border, but does not actually actively deny Americans who have gotten caught drinking and driving from entering their nation. Frankly, this is flat out incorrect; in 2016, Canada denied entry to 30,233 Americans, often because they had prior criminal offenses such as US DUIs. Being refused entry into Canada is not a big deal in comparison to the consequences you can encounter for purposely misleading immigration authorities at the border, however. A huge mistake that some people make after being denied entry to Canada is to attempt to enter the country again shortly after by going to a different Point of Entry. This simply does not work, and thinking you have a fresh chance when dealing with a new officer is flawed reasoning. Every Port of Entry (POE) has access to a centralized database that is instantly updated as soon as someone is denied admission into the country. If border officers think you are trying to evade the system to gain illegal entry, you may further jeopardize your ability to travel to Canada for a significant duration of time. Never forget, entry into Canada is at the complete and sole discretion of the border agent, and they do not like to be lied to or deceived in any way and will punish those who do accordingly. Attempting to successfully visit Canada by not disclosing that you have a DUI or DWI is not a smart idea, plain and simple. Rather than risk your future ability to enter the country by telling lies, phone us today or fill out our free entry assessment form and let our knowledgeable team help you legally enter Canada with a DWI. We assist people who are inadmissible to Canada due to impaired driving convictions day in and day out and are excellent at what we do, so never think that sneaking into Canada is your only option.